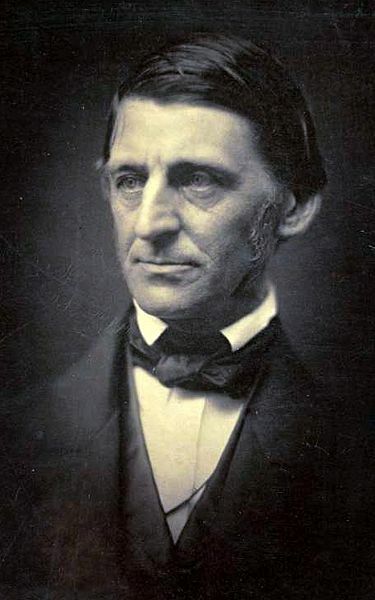 Ralph Waldo Emerson (1803 - 1882) was a highly educated American lecturer and essayist, considered a leader in the genre of writing known as Transcendentalism. Many of his most important ideas were often presented first as lectures, then refined over time and published as essays. But he reversed the order with his first landmark work, his ground-breaking essay, Nature, which was published in 1836. and then followed by his 1837 speech The American Scholar. Interestingly, Nature, was first published anonymously. Emerson's most influential writing was published in the 1840s in two collections; Essays: First Series was published in 1841, followed by Essays: Second Series in 1844. They contained some of his most popular work, including his ground-breaking treatise, Self-Reliance, and other notable essays: Experience, The Poet, and The Over-Soul. Collectively, these essays codified the Transcendental Movement and gave voice to American intellectualism, almost defining an American way of thinking. He openly encouraged his contemporaries to break free of European tradition and to create an American style of expression; an idea that attained full embodiment with the ascension of Abraham Lincoln. Like Ben Franklin before him, Emerson subscribed to moderation and self-improvement. In Emerson's hands, a periodic gathering of other intellectuals grew into the Transcendental Club. Early meetings included Margaret Fuller, who would become an important figure in the Transcendental movement as well. Emerson's association with Henry David Thoreau also seems to have budded around 1837. Visit our Transcendentalism Study Guide and American History in Literature for other important historical documents and figures which gave voice to what it means to be American.